This time of the year is often a time for reflecting on the year that has passed and looking forward to what the coming year will bring. For us, it’s very simple. We have had a fantastic year with Directions ASIA in Bangkok in March, Directions US in Orlando in September, and Directions EMEA in Madrid in October – and not forgetting, NAV TechDays in Antwerp in November. 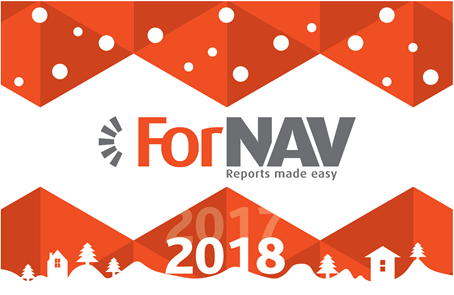 Throughout the year, we’ve met enthusiastic and supportive partners who have all told us how happy they and their customers are with ForNAV. So what we really want to say is a big Thank You. Thank you for your support and for your business. And thank you for being the great partners that you are. We wish you a Merry Christmas and a happy and prosperous New Year, and we look forward to continuing to work together with you in 2018!